We all know potatoes. We all eat lots of them on pesach. So why is everybody so sure they are not kitniot? 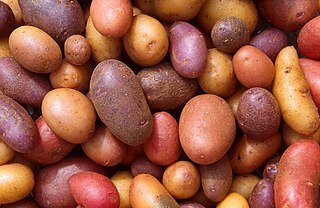 Potatoes are a new world crop – that doesn’t stop people from considering corn, peanuts and quinoa kitniot (actually it should, but that’s a different discussion). Potatoes are not a legume nor a cereal grain – nice try, but this doesn’t stop people from discussing buckwheat which is a knotweed. You cannot confuse potatoes with chametz – potato flour is as indistinguishable from chametz flour as lentil flour or corn flour. In any case, nobody says that potatoes are kitniot. Enjoy! Danger of confusion with chametz (processed): Yes, as flour. 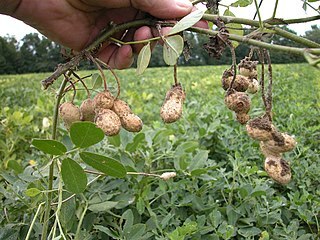 Peanuts are botanically legumes like beans and peas. Peanuts are one of the famous food items people fight about on pesach. Some people have the custom to treat peanuts as kitniot because they are legumes, some people think this is one of the more stupid halachic discussions because they are no way like beans. Rabbi Moshe Feinstein (Iggerot Moshe, OC III:63) famously allows peanut on the reasoning that they were not known at the time of the original degree. When they became known, there were authorities that considered kitniot a "foolish custom" and refused to add new items to the list (kashrut.com, myjewishlearning). The OU is too careful to say "folks you are just plain wrong" so they write "There are some people who have the custom to not eat peanuts on Pesach, and they should continue to keep the minhag, but those who do not have this custom may eat peanuts on Pesach." (OU) – read: your parents were mistaken, but now you’re stuck with it. So, many people agree that peanuts are not kitniot. One should think that this carries over to peanut products being certified as kosher lePesach. But the OU has stopped "in recent years" to certify peanut oil as kosher for pessach (OU Guidelines Nuts). So even people who would eat peanuts cannot. Quick fact check for our real-life kitniot dangers: Crop rotation could be done with peanuts, don’t know if people really do that. Peanut flour seems to exists, though like lentil flour and the like I doubt it is used that often. When peanuts are ground to flour there might of course be a danger that it is done on the same equipment as real chametz. This is where certification would be useful. In my daily life I use peanuts only whole – as a snack or as a fancy ingredient for a fancy dish. In my view, there is absolutely no possibility to confuse whole peanuts with grains. Like we discussed before with soy beans, oil made out of peanuts definitely falls under the reasoning of two doubts (1 – peanuts were not part of the original minhag, 2 – liquids cannot be confused with chametz), which would be reason enough to permit peanut oil (Machon shilo). Danger of chametz traces: Crop rotation? Danger of confusion with chametz (processed): Yes (peanut flour). Are peas, chickpeas and lentils kitniot? Very closely related to what we defined as beans are peas, chickpea, lentils, white lupin – and many other legumes that I’ve never heard about. They are all from the same subfamily Faboideae of the family Fabaceae (or Leguminosae). 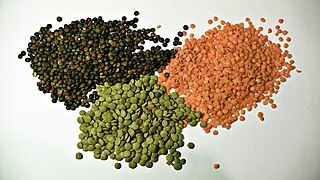 The reasons for forbidding peas, chickpeas, lentils and lupin are basically the same as for beans. Crop rotation may lead to actual chametz being mixed with the legumes. You can make flour out of these legumes – I’ve never seen it, but you can find peasemeal (pea flour), gram flour (chickpea flour), lentil flour, and lupin flour online. The discussion about grean peas, etc. is the same as for beans, some permit them (because it’s vegetables), some do not (because it’s still the same thing). If this is too boring for you, there are some more fancy explanations for forbidding these foods online. One is that "chametz sounds like chimtzei (= humus = chickpeas)" (CJ online). Another one I found is that "The Gemara notes that Rava objected to the workers of the Raish Gelusa (the Exilarch) cooking a food called chasisi on Pesach, since it was wont to be confused with chometz (Pesachim 40b). The Tosefos commentary (ibid.) explains that, according to the Orech, chasisi are lentils and thus, argues the Vilna Gaon, establishes the basis for the concern of kitniyos." (Chabad). So now let’s check the lists. The OU lists lentils and peas. The Star-k list has chickpeas and peas. Kashrut.com has black eye peas (which are closer related to azuki beans that peas), chickpeas, lentils, lupine and snow peas (which would probably fall in the "vegetable" category). I can understand that lupin is only on one of these lists, but I am curious why peas, lentils and chickpeas are not on all of them. Does anybody have an explanation? Google Exodus – Pessach sameach veKasher! 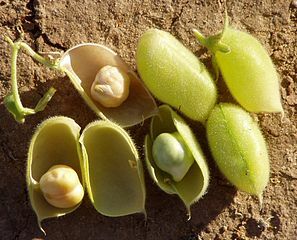 Soy beans are closely related to what we defined as beans, they are from the typ Glycine from the same subfamily Faboideae of the family Fabaceae (or Leguminosae). Soy beans are used in tofu, soy oil (often sold as "vegetable oil"), soy sauce (fermented soy beans and other stuff), soy milk and products made out of it (especially popular with lactose intolerant people) and soy flour (sometimes used to extend meat products). The is a discussion if soy beans should be considered kitniot. On the one hand, they are called "beans" (this alone is of course a stupid argument) and they are very similar to other beans. 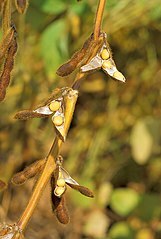 Rabbi Blech on kashrut.com writes clearly that "The general custom is to consider soy beans to be Kitniyos" (kashrut.com). On the other hand, there is a tradition that the list of kitniot is fixed and we do not add to that list now. This could be a reason to permit soy beans, as they only came to Europe in the 18th century – far after the minhag developed (jweekly blog, Rabbi Lior at Yeshiva.org). An additional discussion is about products that are made out of soy but could never be confused with kitniot or chametz, e.g., soy milk. It is not possible to make milk out of chametz. So we have two points where we can be lenient (1 – soy beans were not part of the original minhag, 2 – liquids cannot be confused with chametz), which would be reason enough to permit something (Rabbi Jeff). Before you go out and buy soy products, be careful to check for actual chametz ingredients. For example soy sauce contains actual chametz – cooked soy beans are mixed with flour (I found a recipe at iloveindia.com). The OU lists soybeans and edamame (green soybeans). The Star-k list has soy beans, tofu and "Isolated Soy Protein". Kashrut.com has a whole bunch of related items: soy oil, soy lecithin, soy, and tofu. Danger of confusion with chametz (processed): No. Verdict: Soy beans themselves hould not be kitniot, but are regarded as such by most. Soy products are definitely not kitniot. But what are "beans"? A bean is described in Wikipedia as "an edible legume" (Wikipedia:Bean) and a near-synonym of pulse which in turn is defined as "an annual leguminous crop yielding from one to twelve seeds of variable size, shape, and color within a pod" (Wikipedia:Pulse). So now – what is a legume? "A legume is a plant in the family Fabaceae (or Leguminosae), or the fruit or seed of such a plant" (Wikipedia:Legume). So back to beans: The Wikipedia article contains a list of bean types, all of them are part of the subfamily Faboideae. These are varieties of "phaseolus vulgaris" (or common bean) from the "phaseolus" type. 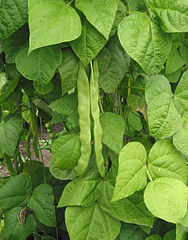 There are other types of beans listed in the Wikipedia article that (to me as a non-botanist) are very similar, e.g., Vicia (includes fava beans) or "Vigna" (includes Azuki beans). For this discussion, let us assume that the halachic term "beans" refers to all of these. Beans have been on the kitniot list for a long time. 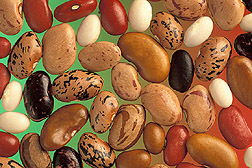 Historically, beans grew near to grain or fields were alternately used for grain and legumes. This crop-rotation has been practised in Europe since the 8th centory and works as follows: "Under three-field rotation, the land was divided into three parts. 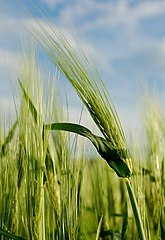 One section was planted in the autumn with winter wheat or rye. The next spring, the second field was planted with other crops such as peas, lentils, or beans and the third field was left fallow. The three fields were rotated in this manner so that every three years, a field would rest and be fallow." (Wikipedia:Crop rotation) So the fear of some actual chametz grains mixed in with the beans was very real at that time. That crop rotation is a good idea seems to be recognized today, but I do not know what percentage of beans we can buy in the supermarket grows on such fields. Dried beans can be ground into flour which could be mistaken for chametz flour. I have found an article quoting the History of Bread: "In addition to wheat and rye, bread was made from oats, barley, grass seeds and in times of shortage and famine, even peas and beans!" (Kosher.org.uk). I am unsure if people today still use bean flour, I have definitely never seen it. I cannot think of cooked bean dishes that look like chametz dishes, but maybe I just do not eat them. The recipes I know with beans always contain very distinguishable beans. The above concerns are about the seeds. What about the fresh green beans (string beans)? The situation doesn’t seem clear. 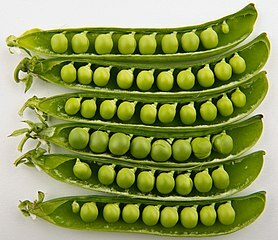 There is an opinion by Rav Lior that "Legumes such as green beans and peas which are still in their pods are considered vegetables and not Kitniot." (source). On the other had, apparently green beans and peas are considered kitniot in the Sefer She’arim HaMetzuyanim BeHalacha, Siman 117, Si’if Katan 7 (I don’t understand it, but read the discussion about what the text is actually saying here). The Star-k list contains "String Beans", "Green beans" and "Bean Sprouts". The Kashrut.com list contains "String Beans", while the OU list contains only generic "beans". Danger of chametz traces: Yes (crop rotation). Verdict: Seeds are probably kitniot, green string beans are probably not. Edit on March 24: Fixed formatting. 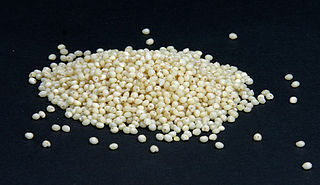 Millet (Hirse) is one of the other plants mentioned in the Talmud. It is the oldest known cereal and today is a staple food in India and Africa. It doesn’t seem to receive the same amount of attention, but maybe that is because it is not so well known in the Western world. Botanically sorghum and teff fall into the same category, so all that is said here goes for those as well. Danger of chametz traces: I really don’t know. Danger of confusion with chametz (raw): I don’t think I have ever seen it for real, from the picture it looks more like white lentils. Other pictures though make it look like a grain. So maybe yes. Danger of confusion with chametz (processed): Apparently people use it to make porridge, bread – so yes. 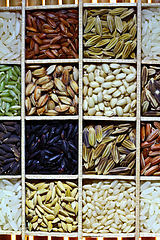 Rice seems to be best known kitniot (actually, what is the singular of kitniot? ), it is the one example that can be found on virtually all the web pages that contain the word "kitniot". 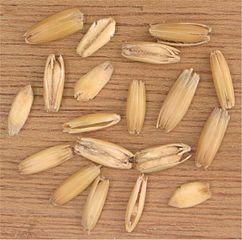 Many people envy sefardim because they can eat rice – actually that is not true, most sefardim do not eat rice (only Tunesian my contacts say, but I haven’t verified that claim). The sefardim who eat rice should examine every grain to be sure it is not chametz – are you sure you still envy them? Danger of confusion with chametz (raw): I would have told you no way somebody confuses raw rice with grains, but after seeing the above picture I stand corrected. Danger of confusion with chametz (processed): Rice flour looks like chametz flour. Rice dishes don’t really, maybe some of these unusual varieties might. 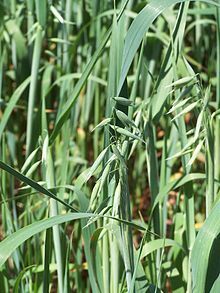 If you are interested in botany: It is not so clear to which grains the mishna is actually referring, as the exact meaning of the Hebrew names has been lost over time. The Hebew is as follows: שיפון (shifon), כוסמין (kusmin), חיטים (chittim), שעורים (se’orim) and שיבולת שועל (shibbolet shu’al). 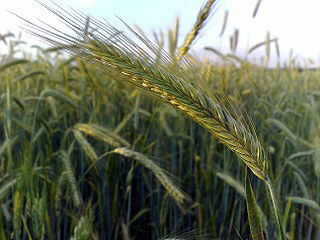 Only wheat (chittim) and barley (se’orim) are definite. 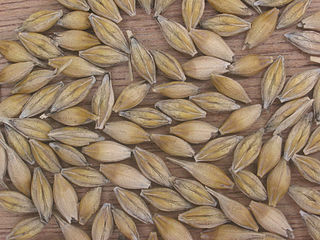 You can read more about this at the daily daf: Are Oats Really one of the 5 Species of Grain? – When Science and Halakha Collide. The question I have every year is the following: Chametz is everything that is from the five grains and comes into contact with water. It then ferments. From what I remember from my chemistry classes, fermentation means yeast. So now the question – is yeast (that you can buy in the supermarket for baking) also chametz? The answer to the question is NO, yeast itself is not chametz. 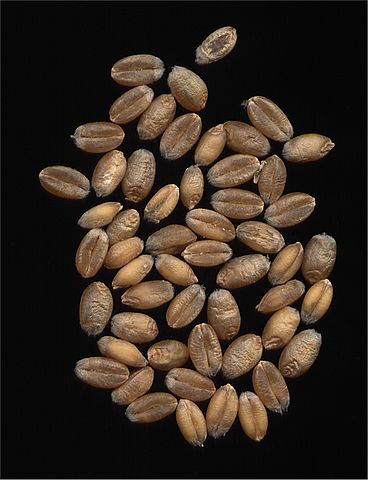 Confirmed by my rabbi and Chabad (in reply to a question if wine, fermented grapes, is chametz): "Of the hundreds of species of yeast, the Passover prohibition only applies to yeast which is a product of one of the following five grains: wheat, barley, oat, spelt, or rye. Yeast which is the product of grapes, or its sugars, is not considered chametz (leavened food)." So, I will keep my baking powder and see what it does to matza flour! I’ll keep you posted. Pessach is coming soon, so it is time to review the laws of chametz. Chametz means leavened food and is defined as everything made out of the five grains (wheat, barley, spelt, rye and oats) that has been in contact with water for more than 18 minutes. This includes basically all food that contains these grains (bread, noodles, pizza, cake, muesli, cookies, …). The exception are matzot produced for pessach that are specially watched so that from the moment the flour touches water until they are baked no more than 18 minutes pass. During the week of pesach, chametz may not be eaten, owned or benefitted from in any way (e.g., by feeding it to pets or selling it). This is why we all go crazy and clean the house before pesach. Also why we refuse all invitations for meals, it’s not personal. Many people who are not too strict about kashrut during the year still take pessach very seriously. Apart from chametz, there are other foods that Ashekenazi Jews don’t eat. This category is called kitniot and here is where it gets a bit complicated. 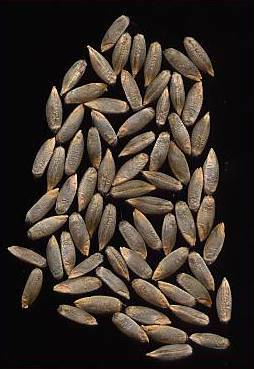 The tradition of not eating kitniot comes from the middle ages, but already the Babylonian Talmud discusses if rice and millet are chametz (unverified source: Pesachim 35a, Pesachim 114b). Kitniot are grown together with and processed on the same equipement as actual chametz and may therefore contain traces of chametz. 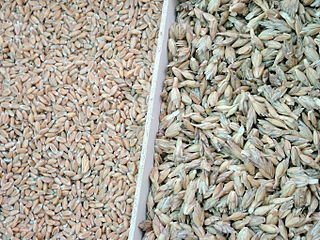 For example, beans and rye may grow on the same field or one may use the same mill to make flour from wheat or from rice. Kitniot may be confused with chametz: Some raw kitniot are similar in appearance to raw chametz. Also, they are processed in the same way and the final products ressemble chametz products, e.g., bread or noodles made out of rice flour. Some kitniot dishes look similar to actual chametz dishes. How this connects with todays (allowed) “kasher-le-pesach pizza” or “kasher-le-pesach noodles” I don’t know. The difficult question is now, what exactly belongs to the category of kitniot? Rice, millet, maize (corn), beans and lentils are among the most commonly included, but there are many others under discussion and the list changes every year (OU list for 2013). If I have the time, I will discuss some of those that seem most relevant to me in this blog. No matter what exactly you consider kitniot, the most important point to note is, that kitniot are not chametz. You may not eat them, but even for Ashkenazim there is no reason to burn them or sell them. The only restriction is for actual eating. You can keep them in your house and feed them to your pets. And if you find a single bean in your food, probably nothing bad has happened, because kitniot get nullified just as any other food during the year (but chametz doesn’t!!). Edit Mar 18 2014, Apr 14 2016: Updated link to OU: Curious about Kitniyot? During my first stay in Jerusalem (I was 18 at the time) I once walked through a religious neighbourhood by accident (it was a shortcut). I was not religious at that time, but I wore an ankle-length wrap-skirt out of respect for the holiness of the city. When I walked through that neighbourhood, I was approached by a young women who tried to tell me something. My Hebrew was pretty bad at that time, but after maybe 10 minutes I understood that she wanted to tell me that I should stich up the slit in the skirt, because men might be able to look at my legs through it. I have two issues here: The first (obivous) issue is of course that it’s none of her business. I don’t want to discuss this here. The other issue is something that has been bothering me in a lot of similar situations. Some girl wears a skirt that is just one inch too short? Immodest! No stockings? Immodest! A slit in a skirt? Immodest! These very minor infractions in an otherwise very modest outfit lead to the general judgement that this person is immodest. What is missing is the nuances, the shades of grey. Isn’t there a difference between a miniskirt (or better said a broad belt) and a skirt that just barely reaches the knee? Between a bikini top and a loose t-shirt that bares the ellbows? If we eliminate shades of grey, the person that is judged for the one-inch-too-short skirt might come tomorrow in a bikini – after all, what’s the difference? But we all (at least all sane people) agree that there is a difference. So please, can we stop the nonsense? We are too busy checking the measurable requirements of modest clothing and forget about the spirit. I can be very immodest in clothing that is perfectly fine by the letter of the law (google "hot chanie"). I also can be perfectly modest in a skirt that is a tad too short. It is the spirit that counts, not the exact measurements. There should be some margin of tolerance. I sometimes take (non-Jewish) friends to experience a service in synagogue. This post is a (incomplete) summary of the questions I get and my answers. Should I stand up with the others? There are some places in the liturgy where everybody stands up (Kaddish, Amida, some others). It is proper to get up as well, out of respect. Also, if people sit down, do that as well (this is less of a problem). This only applies if (pretty much) everybody stands up or sits down. If only some people stand up or sit down, it is better to go with the majority. What if I mess up? It is pretty common that people don’t know when to get up or sit down. Don’t worry. If you suddenly find yourself to be the only person standing, just sit down. Try to do it in a way that suggests, that you had a perfectly good reason to stand until then and everybody will believe it. May I sing along? I see nothing wrong with that. There are parts where the chazan (prayer leader) sings alone, be sensitive to that. Should I answer amen or take part in responsive reading? Answering amen in some places counts as if you have said the bracha (blessing) yourself. The rule is that you can only answer if you know what you are answering. As you probably don’t – don’t answer. It is ok not to stay silent. Should I bow, take small steps back, shake, cover the eyes, etc.? I’d advice against it. It is ok just to sit/stand quietly. Can I ask someone what is going on? Yes. Best thing is to ask right at the beginning if your neighbour could help you. In some communities they show the number of the current page somewhere or somebody announces it. Take care to select the right prayer book and know which of the signs/announcements refers to it. You can ask anybody, it is a very very typical question. If you thought you could do it alone and didn’t ask at the beginning and need help during the service, you can of course ask anytime. Be sensitive to the fact that people are in the synagogue to pray. If they seem immersed in some private prayer, do not disturb them. It really is also ok not to know what happens and just experience the environment. It is ok to sit there without a prayer book. It is ok to read something different than what the others read. Why do they ask me if I am Jewish? For public prayer, you need 10 Jewish men (some Reform communities also count women). In a small community they might not yet have the ten and just want to know if they can count you. That’s all. Nobody will throw you out if the answer is no. So you need to be absolutely honest with your answer!! Can I take an active part in the service? Short answer: No. You shouldn’t do anything that goes beyond watching and singing along. What should I wear? For men: Long trousers and a shirt. Necktie and jacket are usually not necessary. For women: Try to cover ellbows, shoulder, collarbones and everything in between. Clothes should not be too tight. In some places women only wear skirts. If you do not have a skirt, you can try a longer top over looser pants. In general: Try to look neat and modest. “Business casual” is a good way to achieve that. Avoid political, religious or other statements (in text or accessories). Can I/Do I have to wear a kipa, tallit or tefilin? Kippa yes, you have to. It is a sign of respect for the holiness of the place, it is not worn to indicate you are Jewish (in a synagogue, outside it probably would). Other religious items should not be worn by non-Jews. Politely decline if somebody is offering you something. Did I miss something important? Tell me. I want to link to the speech of Knesset member Ruth Calderon of the “Yesh Atid” party. It is a beautiful dvar Tora about a passage from the Talmud (Ketubot 62a). English translation (The Jewish Week). Some time ago, I listened to a talk about organ donation in halacha, and I wanted to present the main points here. You can get more information from the Halachic Organ Donor Society homepage. Note that this deals only with donation after brain-stem death and only with halachic concerns. I might do another post on other issues some other time. The prohibition of desecration of a dead body (nivul haMet). The commandment not to delay burial (halanat haMet). All these objections are overridden by the principal of pikuach nefesh, the obligation to save a life. This only applies to a situation where the organ is needed directly for a specific person, but this is virtually always the case today, as people are dying every day from lack of organs. The only exception would be donating for research. Details can be found in Is Organ Donation a Mitzva?. That these halachic problems are not the main concern seems to be consensus with most rabbinic authorities. Inviting the ayin haRa (the evil eye), this argument goes along the lines of "writing about death invites it". The answer is very simple: Do you have any insurance? With this reasoning you shouldn’t be able to have one. Also there is a very traditional document that "invites" negative things: The ketuba (marriage contract), which lists the conditions of a divorce (see Evil Eye). I think we can agree that these "objections" are just excuses, superstition (which is forbidden by halacha) or people that are ill informed. If a person is dead, we saw that we can take organs. But we are not allowed to touch a terminately ill person for fear it may accelerate her dead (goses). So the question lies in the definition of "death". I am not a doctor, but this is what I understood: For organ donation, a person is defined as dead if the brain-stem has not received oxygen for some time and therefor has stopped working and started to disintegrate. There is no possibility that this person will come back to life. BUT it is possible (for a short time) to keep this person breathing and the heart beating with machines. Is a person dead, if the heart is beating and this person is breathing? This is exactly the problem where the rabbis disagree. A detailed discussion of the sources can be found in Brain-stem death. Halachically speaking, this is the main point to consider. But no matter what definition of death you chose, it is not a reason to categorically reject organ donation. A HODS donor card gives you the possibility to chose halachically acceptable definitions to determine the time of death. Of course, this is a very personal decision. But in my opinion, to give life to another person after your death (however you define it), is the greatest good deed we can do. Think about it.